Microsoft's erroneous use of an Angry Birds icon on its Windows Phone 7 website has led to the developers of the popular mobile game denying that they are developing it for the new operating system. 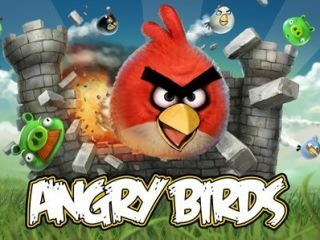 Rovio Mobile has created one of the stand out successes for the Apple iPhone with Angry Birds, and is now in the process of rolling it out on the Android operating system. Windows Phone 7 is due to be officially launched today, with Microsoft throwing everything but the kitchen sink into making its completely overhauled mobile operating system a success. But when Microsoft used the familiar icon on the new Windows Phone 7 website, it led to Rovio using its Twitter account to deny that it was bringing Angry Birds to the new platform. "We have NOT committed to doing a Windows Phone 7 version. Microsoft put the Angry Birds icon on their site without our permission, the company tweeted. In truth, Rovio would be mad not to consider moving Angry Birds onto Windows Phone 7, should the handsets prove to be a success for Microsoft and the manufacturers that are using the new platform. But, as a follow up tweet said: "nothing to do with if we do or don't [want to], it's just that we decide that ourselves." Microsoft has responded to the furore, telling TechFlash: "It appears information was mistakenly posted to Microsoft's website, and has been removed." Sure enough, the offending logo is gone now.